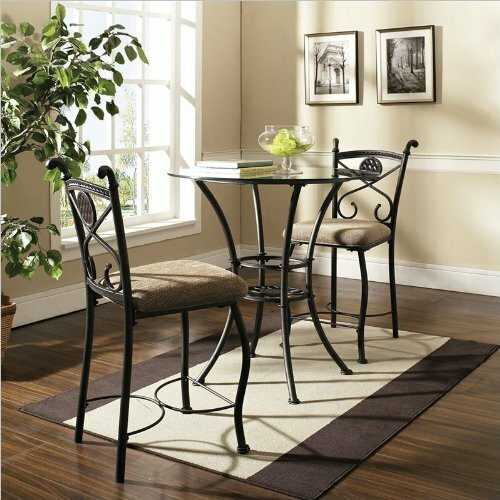 Enjoy a delightful meal gathered around this unique contemporary piece. 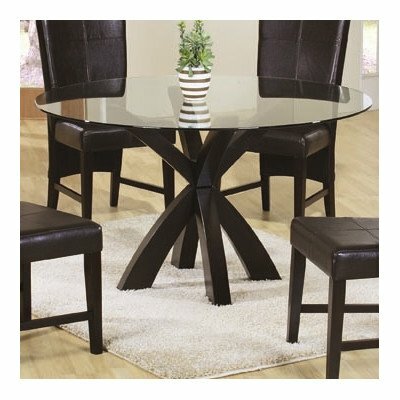 Featuring espresso finished legs crafted from solid wood for ultimate durability, this table set is a superb addition to any area with limited dining space. Showcase the polished 10mm tempered glass top that offers a clear visual of the unique base and allow the neutral fabric to brighten the room. Each chair features a keyhole design to add some depth and dimension to the piece while fire retardant foamed cushions offer enjoyable comfort. 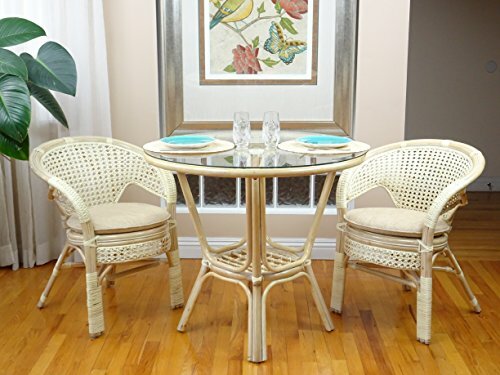 Wait no more and enjoy your meals around this stylish table set. 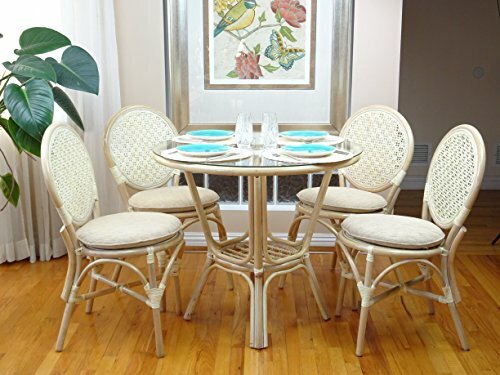 This set includes one dining table and four side chairs. To maintain, wipe down with a slightly damp, non-abrasive cotton cloth. Some wood protectants may be used but please use at your own discretion. We highly recommend against using any harsh chemicals that may damage the finish. Manufactured in China, some assembly required. Table: 54"Dia. 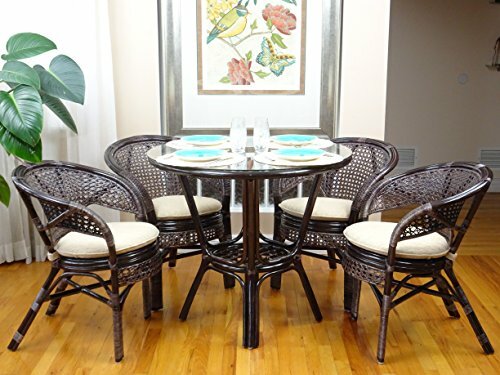 X 30"H; Chair: 19"W x 26.25"D x 40"H; Seat height: 19.75"; Seat depth: 17.25". Curving lines and circular shape in tubular metal that reaches 3 feet high. 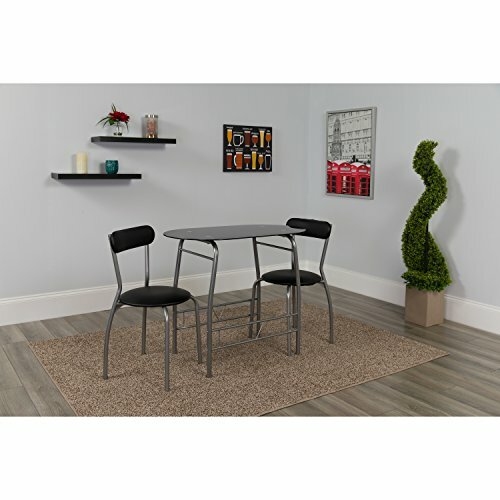 A round of glass caps off the elevated elegance that fits 2-4.Features:Dark metal finishCasual stylingCounter heightSpecifications:Overall product dimensions: 36" H x 36" W x 36" DWeight: 59 lbs. 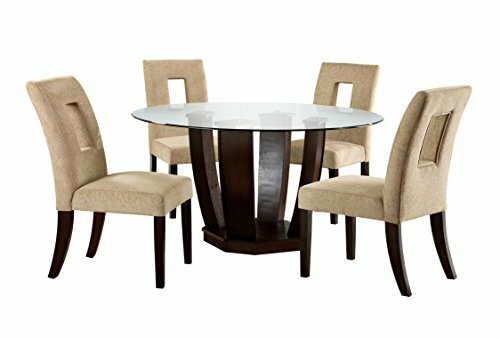 101071Series Features: -Contemporary style.-Clean lines.-Smooth straight edged wood tops or sleek round beveled edge glass tops.-With cushion side chair. 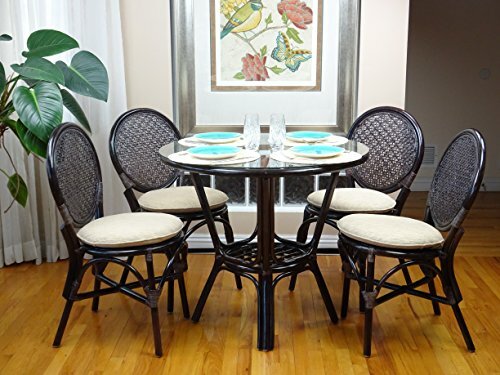 Includes: -Includes 1 dining table and set comes standard with 4 chairs. Color/Finish: -Deep Cappuccino wood finish. 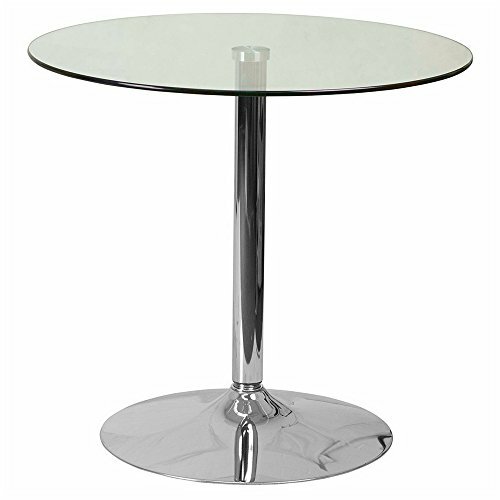 Dimensions: -Table Base and Round Glass Top: 30'' H x 48'' W x 48'' D.-Cushion Side Chair: 38.5'' H x 19.5'' W x 23'' D.